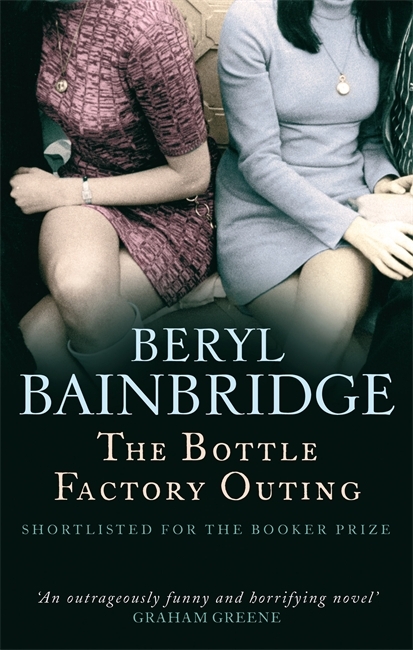 The Bottle Factory Outing by Beryl Bainbridge, first published in 1974, was one of five of her books to make it to the Booker shortlist without any of them actually winning. And that is a shame really, when you think of what a brilliant writer she is, and the benefits winning the prize would have brought. I picked up a copy last minth on a lark, having read Every Man for Himself when it was released in 1996. I will admit to not remembering much about the book other than that I liked it enormously, and that it was about the Titanic. The Bottle Factory Outing is a dark comedy, hilarious, and at times put me in mind of an Arsenic and Old Lace for its ludicrous combination of comedy and tragedy. Freda is a gregarious drama queen who dreams of being swept away to a life of romance and love, a life dramatically different than the one she lives, sharing a bedsit with a cowering, pathologically insecure roommate, and working in an Italian wine bottling factory in the dingy back streets of London. The object of her affections is Vittorio, the mustachioed Italian trainee manager whom she attempts, rather aggressively, to seduce. Freda's frumpy roommate Brenda, on the other hand, seems to attract the attention of men without desiring it. Having separated from her slow-witted alcoholic farmer husband in the north, Brenda spends a great deal of energy fighting off the advances of the men at the factory, both married and single. Freda is a dreamer. She dabbles in workers rights, agitating until they have crates to sit on while attaching labels to the wine bottles. Freda has planned a Sunday outing for all the factory workers., and deams of a day of absolute romance, sunshine and comradery (and maybe even success in seducing the elusive Vittorio!). Before the Outing, one of the older Italian ladies, Maria, from the factory visit the ladies at their bedsit and reads Freda's tea leaves. She sees Freda in a white dress, a voyage over water, men in uniforms and horses... what can it all mean? Surely, the Outing will be a great success! Brenda, on the other hand is terrified of the Outing and in her cowering manner just knows that it is all going to go wrong. Beryl Bainbridge is masterful at revealing with minimal description. I especially love the way she describes characters by focusing on one aspect of their body; I see so much of Freda with those toes curling on the carpet, and in Patrick's paper white chest under the open front of Brenda's dressing gown. The description is sparse, but there is are no gaps for us to attempt to fill. We see the whole through the parts, and the same is true with her ability to craft dialogue. 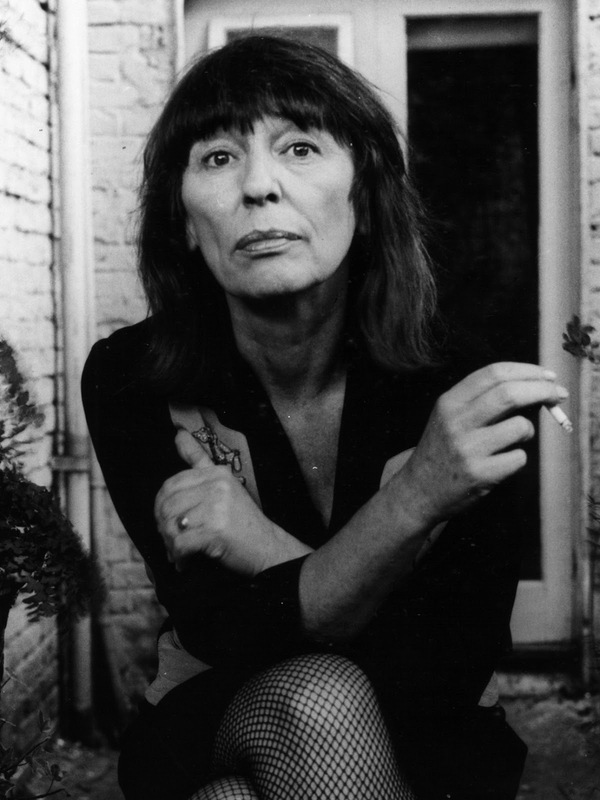 I will be keeping an eye out for all of Beryl Bainbridge's books and will recommend them to everyone I know who loves great writing.